Whether you’re an old pro when it comes to orthodontic treatment, or anxiously awaiting your first adjustment appointment, it’s important to be aware of the minor issues that can sometimes pop up with braces. Many of these common orthodontic “emergencies” can be handled easily at home, but there are times a genuine orthodontic emergency may occur, although this is rare. 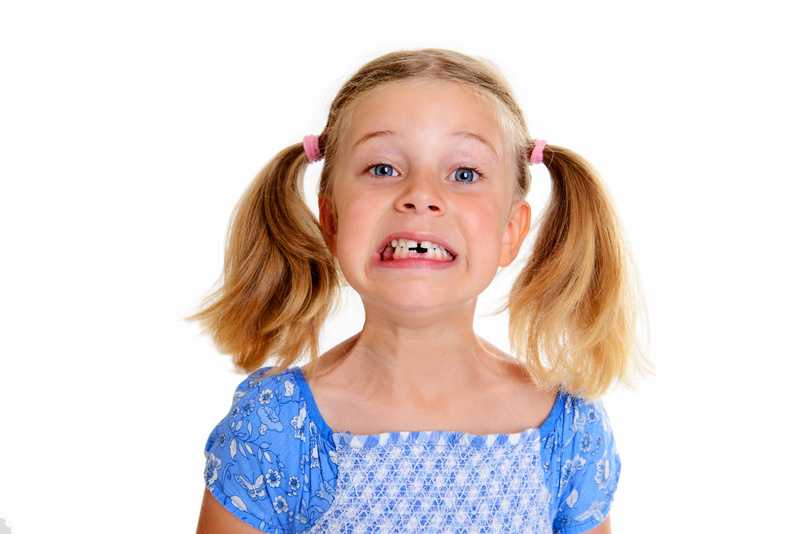 What counts as a true orthodontic emergency? -Any serious injury or trauma to the face, neck, mouth, teeth, etc. If you find yourself experiencing any of these symptoms, Cooper Orthodontics recommends you seek help as soon as possible. We’d generally suggest starting with your orthodontist’s office, but if you feel as though the emergency room is your best or only option, don’t hesitate to go. Wondering how to tell the difference between something that’s worthy of the ER and a situation where it’s safe to wait-and-see? Something like a fractured tooth would be an excellent example of a problem requiring immediate diagnosis and treatment. The same goes for any severe pain or swelling, which can be a sign of infection and disease. Once the emergency has been attended to, your orthodontic treatment can be adjusted if and as needed, so there’s no need for worry on that front! Fortunately, though, these kinds of emergencies are few and far between. Most orthodontic problems can be remedied at home. Although home remedies may not always work or completely remove the source of pain, discomfort, and irritation, they can help you resolve many minor issues, and often lessen or alleviate symptoms until you can be seen in your orthodontist’s office. While braces don’t actually cause mouth sores, some patients still seem to be more susceptible to episodes of them during treatment. These sores may also be exacerbated by any irritation from braces. These ulcers will usually appear on the cheeks, lips, tongue, or gums, and can be very uncomfortable. For immediate relief, try applying a small amount of topical anesthetic directly to the ulcer, using a cotton swab. This can be reapplied as needed. If any part of your braces have come loose or broken in any way, be sure to contact your orthodontist to determine the next step you should take. In the meantime, there are a few guidelines you can follow to keep both your braces and your mouth safe until you can see your orthodontist. If a band or bracket is broken, but still attached to the wire, don’t connect any elastics to it, and leave it alone until your appointment. If you find it’s causing irritation to the inside of your mouth, you can cover it with orthodontic wax. If the broken piece has actually come off, put it in a bag and save it for your appointment. As your teeth adjust to treatment, they begin to move. When this happens, the archwire that connects them may begin poking out near the back of the mouth. This can irritate your cheeks. This wire can often be moved into a better position by using the eraser end of the pencil or a cotton swab. Misplaced wires or ties can be manipulated back into place by gently using a pair of clean tweezers. If out of place wires or brackets are causing irritation to your mouth, you can use orthodontic wax to cover the parts that are poking out. This will help ease the discomfort a bit, but again, get in touch with your orthodontists as soon as you can, so the actual problem can be fixed instead of only masking the symptoms. It’s entirely normal for teeth to become slightly loosened during orthodontic treatment, and in fact, it’s proof they’re doing exactly what we want them to do! However, this movement can sometimes be accompanied by tenderness, especially after your braces are placed or have just been adjusted. Using a salt water rinse twice a day is a very simple remedy that can be really helpful. Just mix one teaspoon of salt in 8 ounces of warm water, then swish it around your mouth for about 30 seconds. A warm washcloth or a heating pad placed on the outside of your jaw can offer some relief as well. It is possible to aspirate, or inhale, small orthodontic appliances. If you accidentally swallow some part of your braces, such as a bracket or a band, please don’t panic: it will likely pass through your system without any further incident. However, if you begin to experience any choking, or any difficulty breathing, please seek emergency medical help immediately. Though true orthodontic emergencies are rare, they do happen, and it’s important that you seek treatment as soon as possible. But what about non-emergency situations? Here at Cooper Orthodontics, we understand that these experiences can also be upsetting. That’s why we’re proud to offer extended hours in our office Monday through Thursday. Our goal is to make your orthodontic experience as comfortable as possible, and that includes getting you in as quickly as possible if a problem pops up. The Cooper Orthodontics team are skilled, caring, and committed to creating bright, beautiful, straight smiles in the Houston and surrounding areas. This process doesn’t have to be painful, though, so please get in touch with us immediately if you’re experiencing any discomfort. We’ll do whatever we can to correct the problem as quickly as possible! ← Orthodontist or Dentist? When It’s Time For Braces, Who Is Better?